Have you ever asked yourself why things happen? Why you’re here on earth, and what role you play in it all? 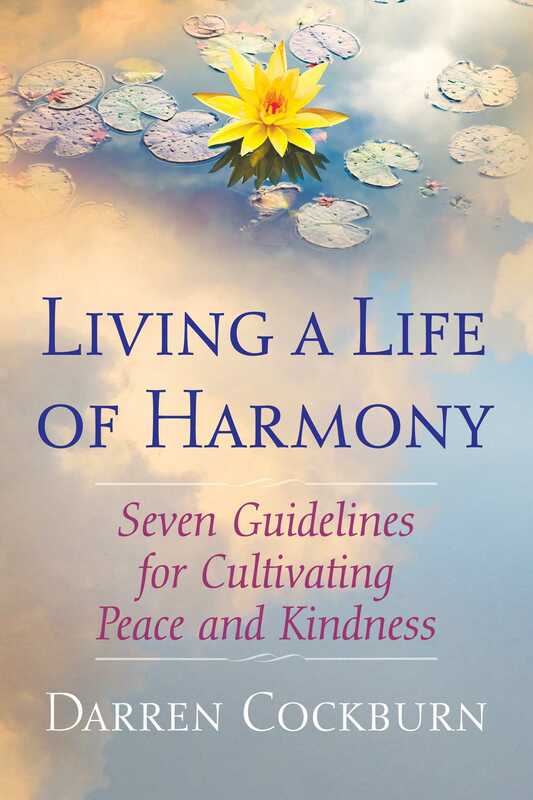 How can you remain peaceful, and live a life of harmony? In this book I’ll be guiding you to explore and answer these intriguing questions. The first thing to get your head around is that there’s one big universal process, which I call “The Process.” Everything’s connected. Through a series of explanations, examples, and techniques, I’ll help you gain a deeper understanding and acceptance of this universal process. You’ll be ultimately placed to observe and accept everything, leaving you feeling empowered, peaceful, confident, and stress free. Your new way of using your mind will give you the option to act wisely, regardless of the conditions you face. 2. Be present, bringing awareness and acceptance into every moment. 3. Act with kindness, considering everyone and everything. 4. Understand the truth, communicating it selectively and skillfully. 5. Do only what needs to be done. 6. Harmoniously obtain and retain only what you need. 7. Apply the Guidelines to your digital device usage. The path of alignment is what you need to be following. This links very much to mindfulness practice. It starts with awareness. You’re aware of the present moment, or a particular situation. The next step is to bring acceptance to what you’re aware of. From there, you’ll always take aligned action. This is the path of the Four A’s: Awareness, acceptance, and aligned action. This path is in alignment with The Process. Even if you’ve never heard about the Guidelines, when you follow this path you’ll always align yourself with them. The path of misalignment should be avoided. When we’re lost in thought, we’re resisting our experience in the present moment. Being lost in thought is a form of dreaming. Instead of being aware and accepting of what’s taking place inside and around us, we drift off into uncontrolled thought. When this happens, we lose touch with our direct experience. As I’ve already mentioned, any thoughts that we experience, and subsequent action from this state will be misaligned, causing harm to ourselves and others. This misalignment is rooted in ignorance from our ego. The ego wishes to control situations to accommodate its own fear-based agenda rather than wanting what’s good for The Process in its entirety. The ego can be forgiven for this given its lack of connection to the intelligence within The Process. It’s analogous to somebody doing something wrong because they don’t know better. When we experience suffering, it’s feedback from The Process, and an instruction to switch from the path of misalignment, to the path of alignment. The norm in this day and age is for people to do too much and keep themselves busy. You may observe this when you speak with people. When you ask how somebody’s doing, they say “I’ve been busy.” Businesses are following the same trend. As the push continues for economic performance, businesses are expecting increased productivity from their workforce. Doing only what needs to be done, involves aligning your activities with The Guidelines. Review your existing activities by creating a list of everything you do. Be sure to include your digital activities, e.g., social media, emailing, and watching online videos. Work through each activity following the process below. 1. Only use a device when it’s really needed. 2. Stay mindful during device usage. 3. Be kind to your body during device usage. 4. Communicate selectively, truthfully, and skillfully during device usage. 5. Have time away from your devices every day. 6. Take opportunities for real human contact.